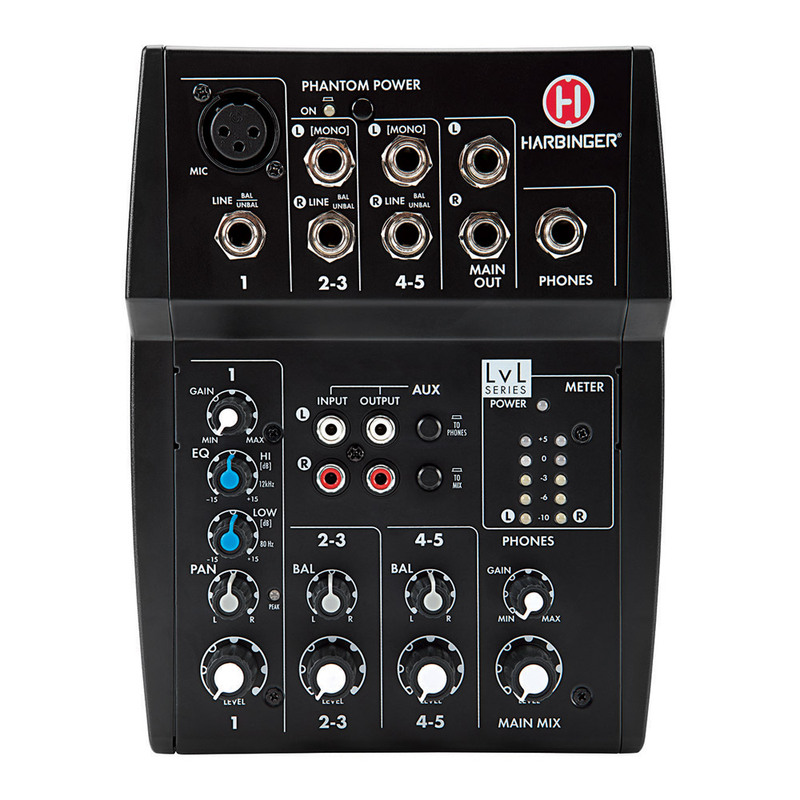 L1202FX, Analog Mixer from Harbinger in the LvL series. 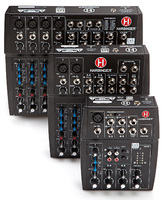 Harbinger Audio introduces three new ultra compact analog mixers for small bands, solo musicians and broadcasters. 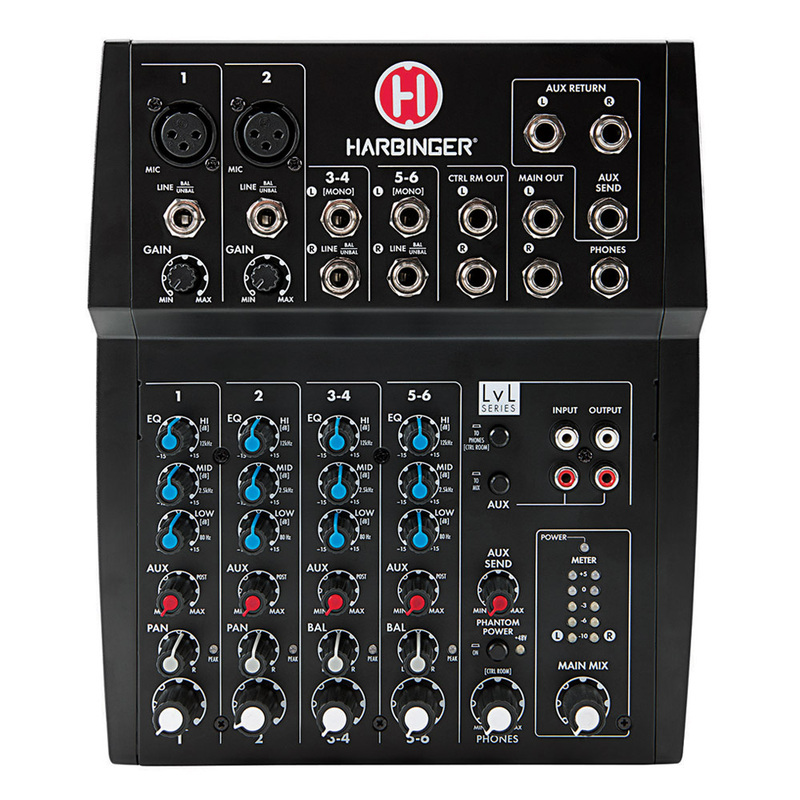 The new Harbinger Audio LvL Series features three 5, 8 and 12-channel mixers, all equipped with mic preamps, phantom power, EQs, LED peak and level meters per channel and main 5-segment LED meter. 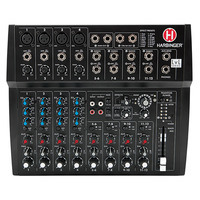 Headphone outputs and RCA inputs are also available on every mixer. 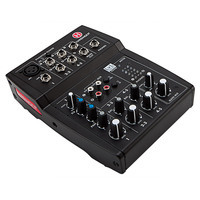 Smallest version of the series, the L502 features a single iMic microphone preamp with XLR and input jack, two 1/4” stereo inputs, an LVL Series 2-band EQ and a Tape in routing option. This model is available for the US street price of $49.99. 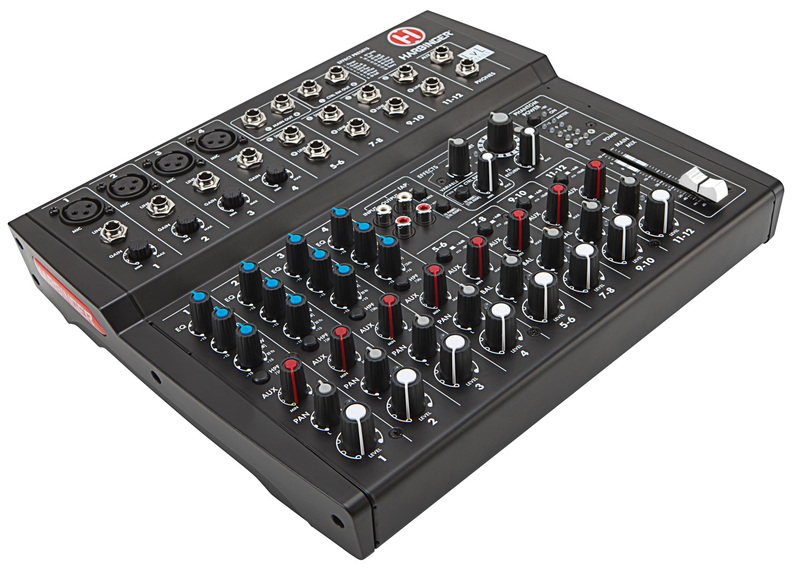 The L802 is the middle-range version with a street price of $64.99. This mixer features two XLR mic inputs and 1/4” jack inputs, two 1/4” stereo inputs with sensitivity selection between +4 and -10dB, an LvL 3-band EQ, the same Tape in routing as on the L502, Main and Control Room outputs as well as an aux send/return. 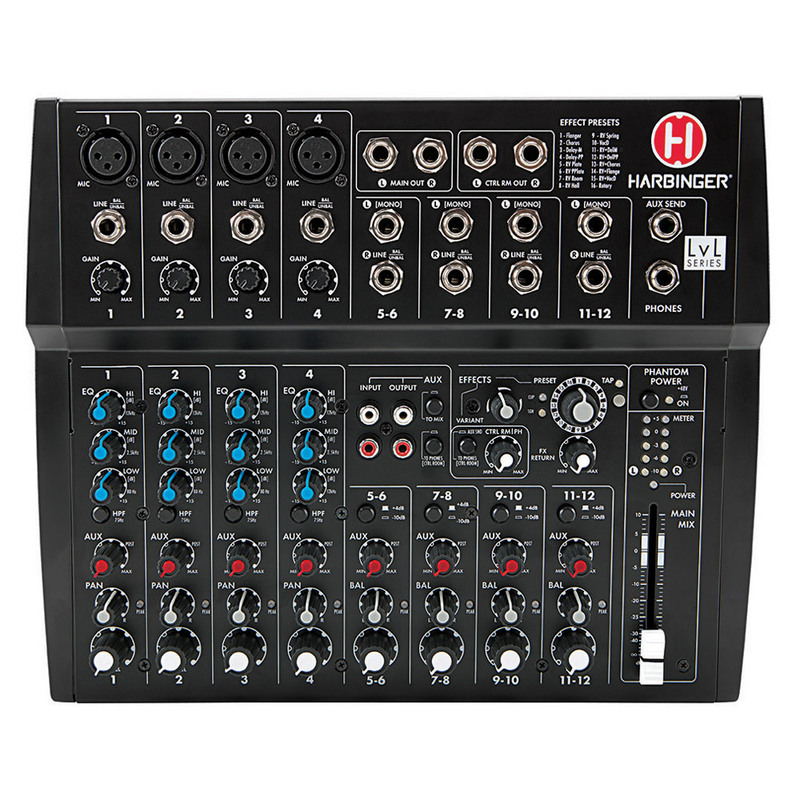 Last, bigger bands can choose the L1202FX and its four XLR mic preamps and balanced/unbalanced TRS line inputs, four 1/4” stereo inputs with +4 / -10dB sensitivity options, 75Hz high-pass filters on each mic input, aux send/return and digital effect including a tap tempo delay. This model also features a full-size master fader. 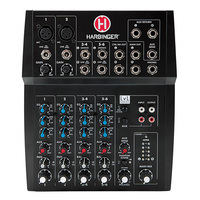 US pricing is $109.99. 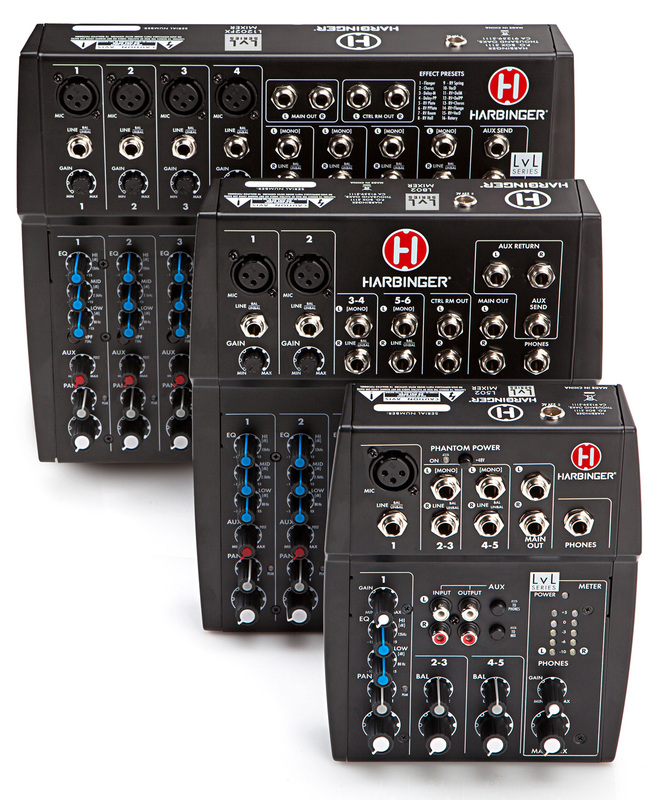 More info about these new Harbinger Audio LvL mixers at harbingerproaudio.com. Dynaudio BM Compact mkIII Review Lack of space is a well-known issue for most people living in cities. 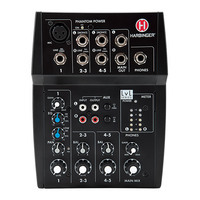 When you live in a small apartment and you make computer music, every single inch counts. That's why one particular model caught our eye when Dynaudio introduced the mkIII versions of its BM series: The BM Compact mkIII. These seem like a couple of BM5 mkIII speakers that underwent a somewhat violent spin-drying: They are identical, but smaller. Tiny, in fact. Halloween promotion at Plugin Alliance’s Plugin Alliance has launched a limited special offer on 11 of its plug-ins until November 2nd. A new JamMan for vocalists DigiTech introduces a new looper pedal in the JamMan series, but this time for singers.